There are lots of freebies and specials around the Valley when the Diamondbacks play a game. 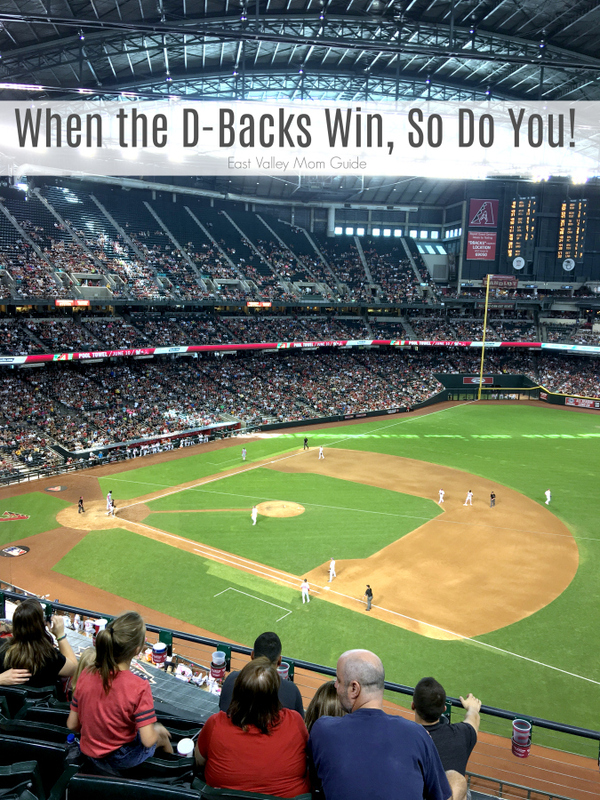 Check out our list below of all the Diamondbacks Winning Promotions details. We are huge D-Backs fans. We’ve been fan since their first season here. We always go to several games a year, but in 2001 we had season tickets and even lucked out with a pair of World Series tickets that year. What a great season that was. One thing I love about being a fan is all the freebies and deals around the Phoenix area when the D-Backs play a game all season long. Some are dependent on the D-Backs winning and some are just based on certain criteria. Need Tickets? We’ve got a special discount for EVMG fans! Find out more here: D-Backs Tickets! Make sure to download the Circle K app to get your strikeout meter coupon offer after every home game. Items available on the coupon are determined by the number of batters D-backs pitchers strikeout during each game. If any D-backs player “Jacks” a home run out of the park, fans can go to their local Jack in the Box restaurant the next day to receive a free Jumbo Jack with the purchase of a large drink. When the D-backs win at home or away, fans get 50% off all pizzas at regular menu price at papajohns.com the next day when they use promo code DBACKS50. Cannot be combined with any other offer. THIS OFFER VALID FOR PIZZA ONLY. Each time the D-backs score five (5) runs or more at home or away, fans can get three (3) free crunchy tacos with the purchase of a large drink from 4-6 p.m. the following day at participating Arizona Taco Bell locations. Make sure to click here and use our code to get discounted tickets and promotions.